Around the time this game came out, the Lotus racing games were very popular on the Amiga. 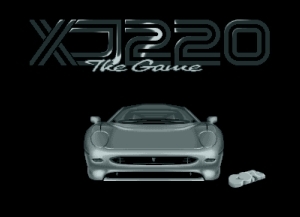 Jaguar XJ-220 is a similar game except that it is more realistic by adding a damage engine and fuel/refueling. The game consists of you being part of the Jaguar XJ-220 team involved in races against teams that race Bugattis EB110s, Porsche 959s, Lamborghini Countaches, and Chevrolet Corvettes. You race in 12 different countries with each country having 3 tracks each in a contest to see which car model is the superior one. You get a certain amount of championship points as well as money based on how well you place per race. The championship points will help determine whether you are beating the game or not. The money will be used to repair the cars because everything you do damages the car. Sometimes the car will just get damaged with wear and tear. Parts have 3 states, healthy, somewhat damaged (yellow), or badly damaged (red). After each race you will enter the repair screen which itemizes all car systems for you to repair depending on your budget. Later on in the game, you must be smart and race strategically. It’s important to gauge and time just exactly when you will need to refuel your car. If you refuel too soon you risk having rival racers pass you. However, if you run out of fuel it’s even worse because your car will be forced to go about 10 MPH as you push the car to the pit stop. How much fuel you want to add is also a factor in determining how much time you spend not moving. Jaguar XJ-220 was created by Core Design in 1992. 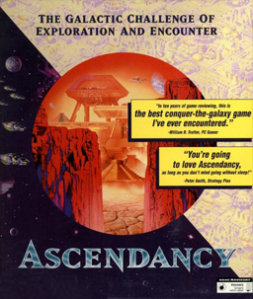 It was released both on Amiga and the Sega Mega-CD. The game includes a track editor and a 2 player split-screen mode. 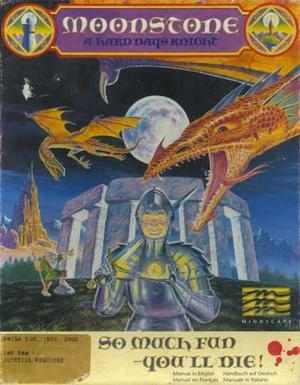 This was the first game that left me fond memories of gaming on my Amiga, despite the saving bug. What I liked about this game is that it’s not just a racing game but a strategy game as well, at least to me. It made you think about the logistics of a race car. To me that’s rather clever and that added a lot of replayability to this game. The game is not appealing to some people but then again not all racing games are either. Some people will like both the racing and the planning the game requires. The racing itself is pretty quick for an old game, as well. Fun Factor for me gets a score of 9 out of 10. Since there are different strategies you can use to try to beat the game, I give Replayability a score of 8 out of 10. You can’t make the game harder except by going to specific countries that have the most challenging tracks on purpose or by changing the control sensitivity. Controls are simple and effective. You can set it so that either the fire button accelerates or simply by pushing forward. Braking is attained by pushing the joystick backwards. The controls are very responsive and you can change that, which affects the difficulty of the game. Sure, it’s not as realistic as today’s racing games but for the logic of racing games at that time, it’s decent. I give Controls a score of 7 out of 10. The game itself is somewhat challenging with it getting much harder later on because of having to deal more with the logistics of damage and fuel. Difficulty gets a score of 8 out of 10, if you actually play the game through to the end. Since you can customize the controller sensitivity and have to plan which countries to tackle in what order, Difficulty Versatility gets a score of 8 out of 10. You need to be smart about it. This game is impossible to get other than in emulated form. Lemon Amiga has links to sites that could potentially have the game for download. Since that’s free, Value gets a score of 10 out of 10. You won’t hear sound unless you opt out to turn off the music. The sounds are good but it’s one or the other. I would recommend putting on the music unless you want to play other music using another computer or radio, etc. Sound gets a score of 8 out of 10. This game has one of my favorite soundtracks for a video game. Click here to go to mirsoft.info and to download and get more specific information on the soundtrack. If you need a program to play the MOD files check out our article here on Deliplayer. The soundtrack includes relaxing electronic music as well as a heavy metal song and funky covers of 80s tv music. Overall, the soundtrack is very unique and relaxing! It was composed by Martin Iveson and deserves a score of 10 out of 10. The music is so badass that people have in recent years started remixing it. Here is the link to download my favorite remix from Amiga Remix by Luther. 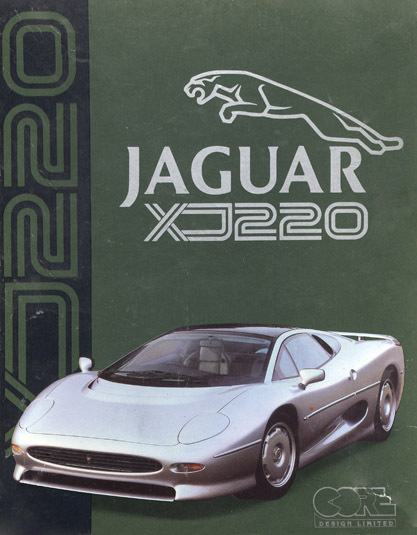 To listen to all the remixes of the music from Jaguar XJ-220 on Amiga Remix, click here! The graphics for the menus and interface are awesome. Screens where the actual car is drawn look a lot like the real car and I think it’s beautiful. The in-game cars look pretty good as well and that’s worth a high score. Graphics get a score of 9 out of 10. The game has always run really well and I’ve never seen parts where the game lagged. The game has a sped up easter egg bug where if you play one of the radio stations rather than the CD audio during the music selection screen, the game will play super sped up. Although it acts weird, that’s not much of a problem. Performance gets a score of 8 out of 10. 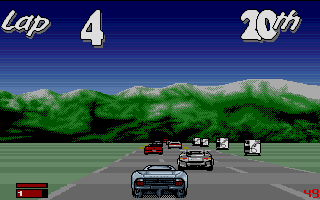 If you are a fan of cars and the rivalry that supercar manufacturers had in the early 90s then you will enjoy this game. If you want a racing game that makes you you as well, then this is also a game for you. At the very least, check out the soundtrack or its remixes! ← Obscure Gamer – Maverick or villain?